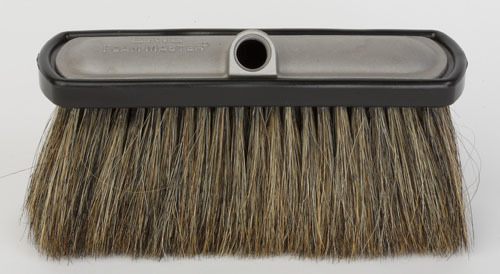 Complete Brush with Aluminum Head, 3 3/4" Long Hog's Hair Bristle, Soft Bumper-Gasket and 4 Stainless Steel Screws. This brush has the Hogs Hair epoxy set. To change the standard black gasket color to another color, choose the color you wish to order by selecting the color from the Gasket Color Box Below.